You think parachuting only works in the countryside? You will revise that this Friday – and that’s a promise! Swooping – an extreme sport that is a new form of parachuting in which competitors use a micro-chute and can hit speeds of 150 km/h – is all about fun tricks and precise landings, which can be a necessity navigating your way down into a bustling city. Some of the world’s best swooping athletes are coming to Copenhagen to show off their skills at the first ever professional freestyle swoop to take place in a major city. The action springs into life with Swoop Night Lights at Copenhagen Harbour on Thursday, which includes a spectacular air show from 6-8pm. 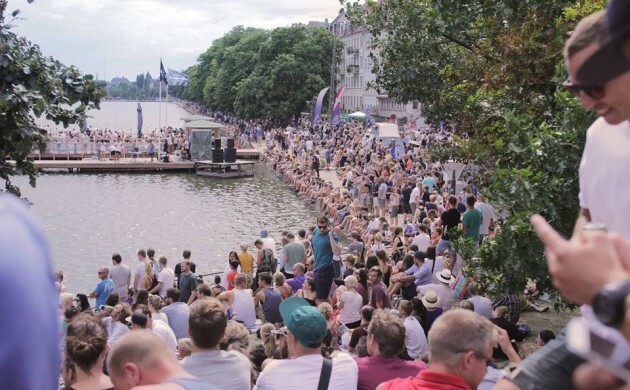 And then the place to be on Friday is Peblinge Lake (the end by Dronning Louises Bro in Nørrebro, not the one by Gyldenløvesgade in Vesterbro) for the finals, which will also include food, drinks and DJs – if 16 daredevils jumping out of a helicopter wasn’t adrenaline-inducing enough for you already. This unique event has been nominated for the Copenhagen Initiative Award and will surely deserve the title if it wins.